I read somewhere that exercising and enjoying the outdoors reverses the aging process, I don’t know if its true but I am sure gonna try it! I am thinking I could be 26 by Christmas, if that doesn’t inspire everyone to get out on the trails I don’t know what will. 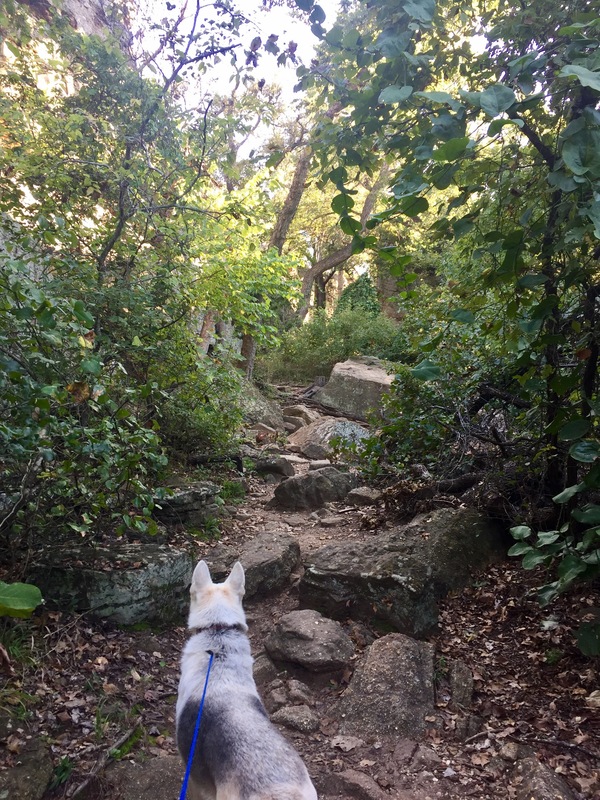 It was another fantastic day in Texas so I called Lake Mineral Wells State Park to check on the trail conditions and to my delight the back country trails were open for business. Aleu and I made the drive to get some dirt under our nails and burn off some of her seemlessly never-ending energy. 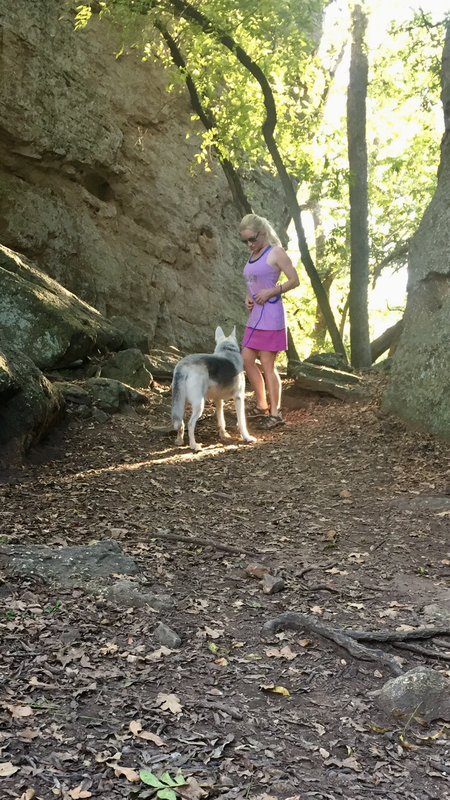 I decided to try wearing one of those athletic skirts with the little shorts underneath and was pleasantly surprised how comfortable hiking like a lady could be, so if you are on the fence about hiking in a pink skirt I recommend you go for it! 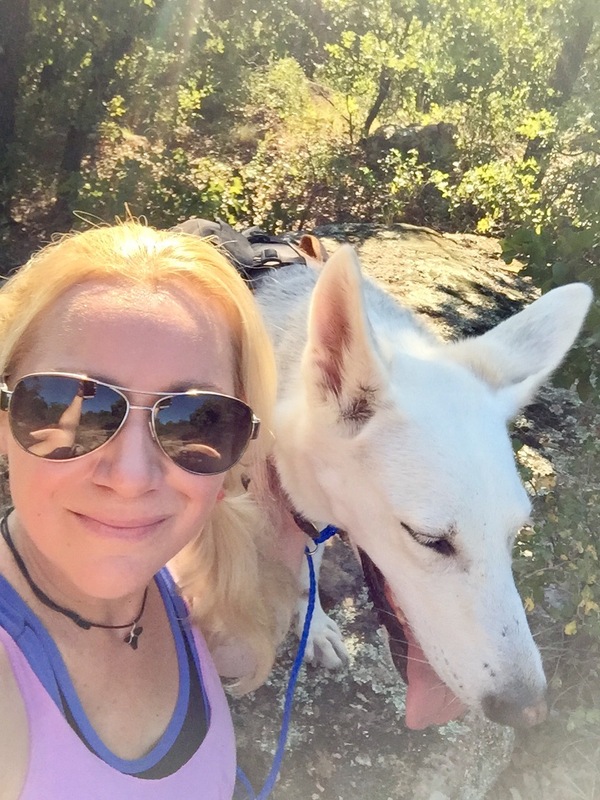 The day was warm and sunny and the trails still had some mud for Aleu to enjoy and my Jeep seats to be adorned with. I only saw one other hiker out there all day but plenty of people were out riding their horses and enjoying the lake. I heard a bunch of guys hollering in delight at the fish they were catching. 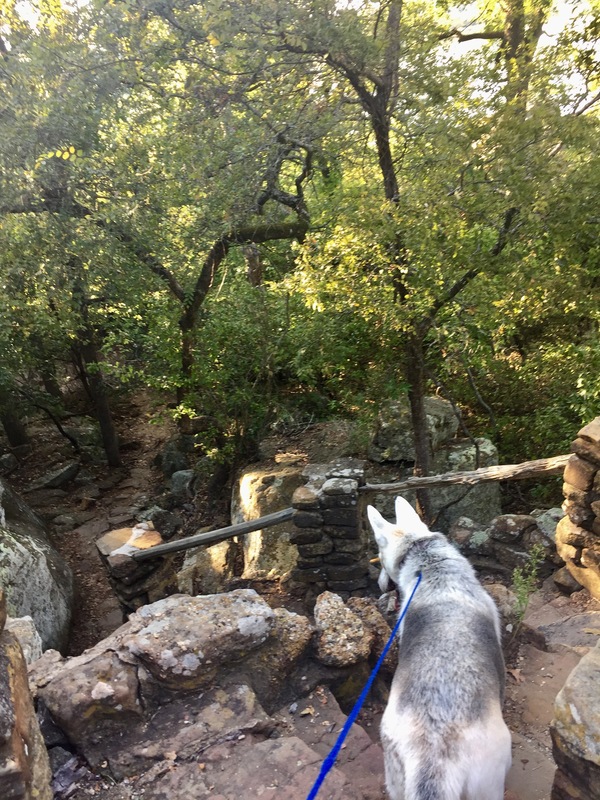 This place really has a lot to enjoy, even a beautiful area to rock climb which is pretty rare so close to DFW. There are miles and miles of trails that vary from easy to challenging with some beautiful views. I highly recommend getting out there and adding some years to your life in this beautiful place, and feel free to do it in a skirt. Keep it wild and classy. 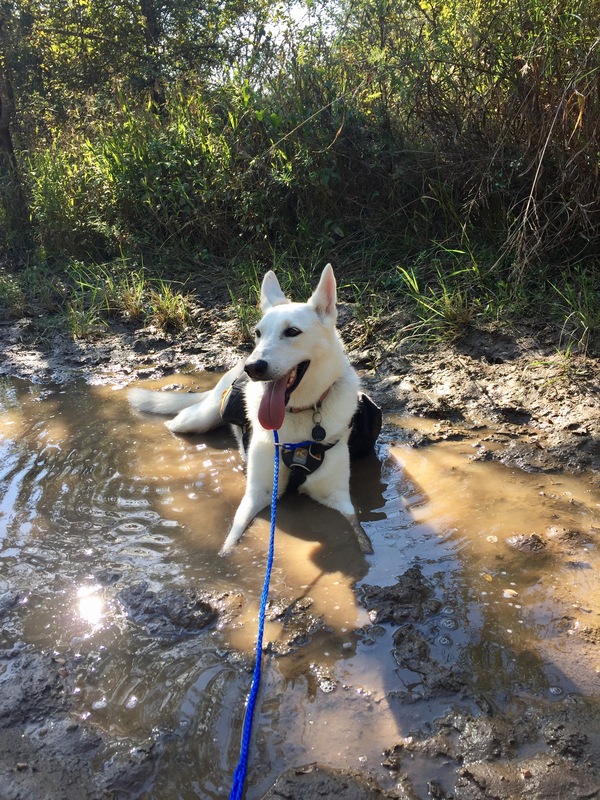 Aleu looks so happy in the mud!